There has been a surge in Iranian state-sponsored terrorism and intelligence operations over the last 13 months. In June, in what surmounted to one of the most high-profile plots, an Iranian diplomat was arrested in connection with a plot to bomb the People’s Mujahedin Organisation of Iran’s (MEK’s) annual Grand Gathering event in Paris. In March, two regime agents were arrested in Albania after targeting the Iranian opposition group once again. The agents had been monitoring the MEK’s compound outside the Albanian capital of Tirana with the intention of carrying out a terror attack during the Persian New Year celebrations. The MEK has always been the target of the regime’s ire but this has surged since the nationwide protests that broke out in Iran in January 2018. The protests quickly spread to more than 140 towns and cities in all 31 of Iran’s provinces. The regime holds the MEK, a pro-democracy group, responsible. The MEK was instrumental in the protest’s organisation and communicated the plans with pro-democracy elements across Iran. 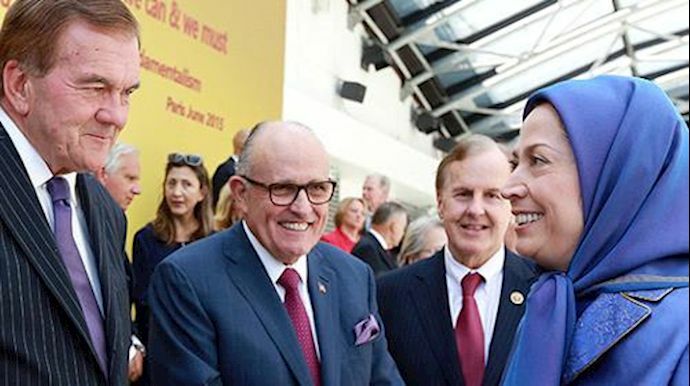 The MEK’s effectiveness and its central role in the Iranian opposition movement have made it a target for regime terror attacks. In addition to the Paris and Albania attacks, there have been assassination attempts, and murders carried out against MEK members. Despite the Iranian regime’s numerous plots to kill and main MEK officials on European soil, the political backlash has been muted. 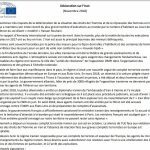 France and Albania both expelled diplomats in the wake of the foiled plots, however, the EU has been reluctant to follow the US in adopting sanctions against the regime, rights Tom Ridge in his article. The EU announced last month that it would introduce new sanctions targeting a branch of the Iranian Ministry of Intelligence (MOIS), but critics “do not believe they go nearly far enough,” Ridges writes. “Any solution must confront the Islamic Republic on multiple fronts,” he continued. The regime is forging closer bonds with extremist groups like the Taliban, Hezbollah and the Houthis in Yemen. If it is sharing the information it has collected through spies in Europe and the US with these groups, the consequences could be catastrophic. In addition to the regime’s violent and aggressive activities abroad, it is intensifying its repressive and bloody policies at home. Following nationwide protests, the regime has launched a crackdown against the political opposition within Iran. The regime has arrested thousands of protestors and executed political prisoners, but the protest movement shows no sign of losing its momentum. Ridges argues that a coordinated strategy from the international community that attempts to modify the regime’s behavior both at home and abroad is the best way to reduce conflict and increase global stability. When world leaders meet on February 13th and 14th in Warsaw, Ridges argues, they have the opportunity to construct a coordinated response to Iranian aggression. 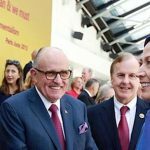 “The Warsaw summit could go a long way towards developing a coordinated strategy to contain Iran,” he says, “but no strategy would be complete unless it also reaches out to, and coordinates with, Iran’s organized domestic opposition;” the MEK. Archive Photo-The second week of protest by Ahvaz Steelworkers against the repressive regime. On Sunday, January 6th, Hassan Mahmoudi penned a piece for tsarism exploring the leaders of the Iranian protest movement. The piece, entitled ‘Who is Leading and Organizing the Iranian Strikes’, looked at the escalating protest movement in Iran and the driving forces behind the expanding opposition movement. He describes how dissent and public fury has seeped across Iranian industries, bringing truckers, market stall owners, teachers, sugar workers, steelworkers, and farmers into the streets in protest. “Virtually every Iranian group and community has expressed its discontent with the current political structure,” Mahmoudi says. Their grievances have been wide-ranging, but several themes have reared their heads in the Iranian workforce time and time again; corruption, economic mismanagement, unpaid wages, inflation, and reduced Iranian purchasing power. In typical regime fashion, the mullahs have responded to the growing protests with violence and repression. Most recently, Esmail Bakshi, one of the labor activists arrested in Shush during the strikes carried out by the Haft Tappeh sugarcane workforce, endured extensive physical and psychological torture in regime custody. His injuries were so severe he had to be transferred to hospital. 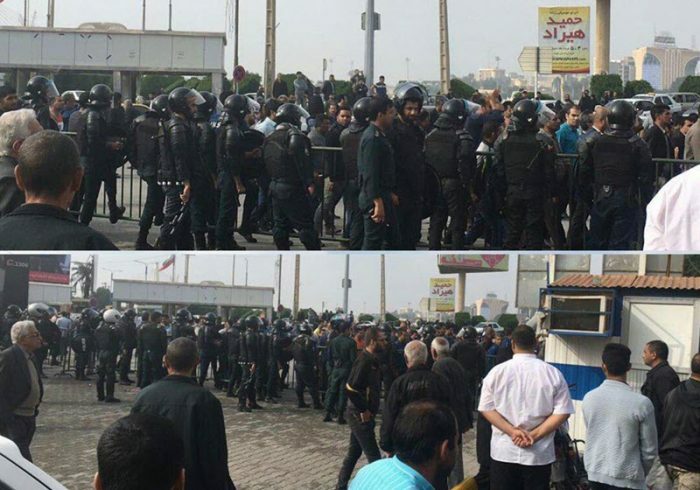 At a protest among farmers in Isfahan on January 2nd, regime agents used tear gas and fired live rounds in the air in an attempt to disperse the crowds, and earlier in the year, when Iran’s truck drivers were striking, the regime threatened them with imprisonment and even execution. While many regime officials still dismiss the protest organizers as “opportunists and anti-revolutionaries who want to take advantage of political turmoil inside the country,” there has been an increasing acceptance among the regime’s leadership of the reality that the Iranian opposition is a well-organized political force. Members of Parliament like Naser Mousavi Larijani are beginning to point the finger at the People’s Mojahedin Organisation of Iran (PMOI / MEK), and the group is increasingly receiving coverage from the Iranian state-run media outlets. The MEK has been relentless in their organization of protests. They publish details of protests through their social media outlets and have been putting up posters across the country. The group has an abundance of resistance units, from Tehran to Mashhad, Kermanshah, and Ahvaz. Many draw attention to the opulence that the regime leadership enjoys while much of the Iranian population struggles to put food on the table. 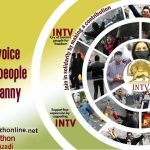 Iran NTV (Simaye Azadi or Voice of Freedom) started it’s 3 day telethon on Friday Nov 30th. 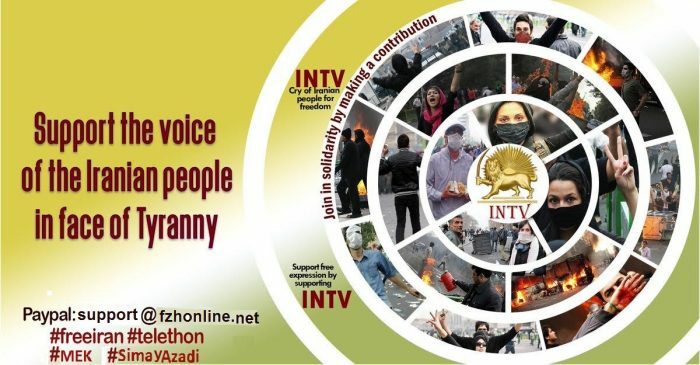 From November 30th until December 2nd, Simaye Azadi, Iran’s National TV (INTV) the satellite TV that is known as the voice of Free Iran is running a telethon to give voice to Iran’s suppressed and silenced population. Much like previous telethons, Simaye Azadi will host the event. IranNTV uses its telethons to broadcast the realities of the Iranian regime’s atrocities to the world. MEK and the National Council of Resistance of Iran (NCRI) supporters also take the opportunity to offer donations and messages of support for the main Iranian opposition, the MEK. For example, an early message read, “I’m Bahareh from Mashhad. I declare my support and help out with a little donation”. Another, from Mohammad, said “I hope with our aid, this voice will always stay on”. In the past, the amount of donations received has been a strong indication of the MEK’s popularity. 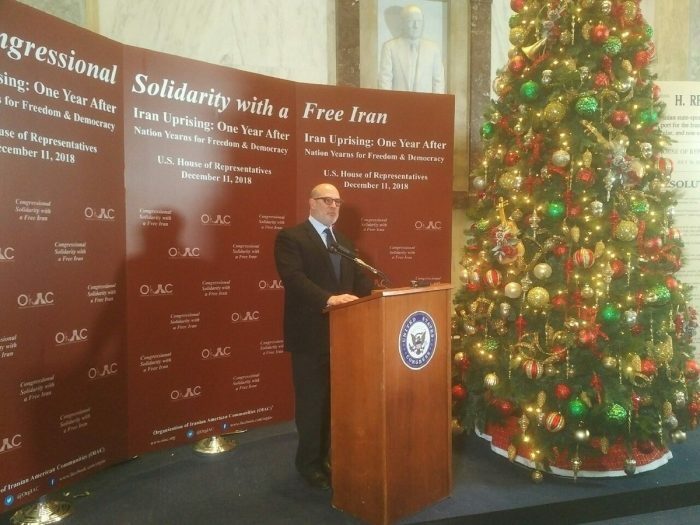 In 2013, the group had 22 phone lines set up to receive donations and the generous MEK supporters from within Iran and around the world gave $4.1 million. Many of these donations were small figures, whatever people could spare, but when added together, they make a huge difference and provide the opposition with the resources to challenge the Iranian regime wherever it can. Some, like Firoozeh in Mashhad, gave $54. Others, like Shahryar from Karaj, gave more than $200. Many donors give as little as one dollar. But every single one of them goes towards the MEK’s fight for democracy in Iran. 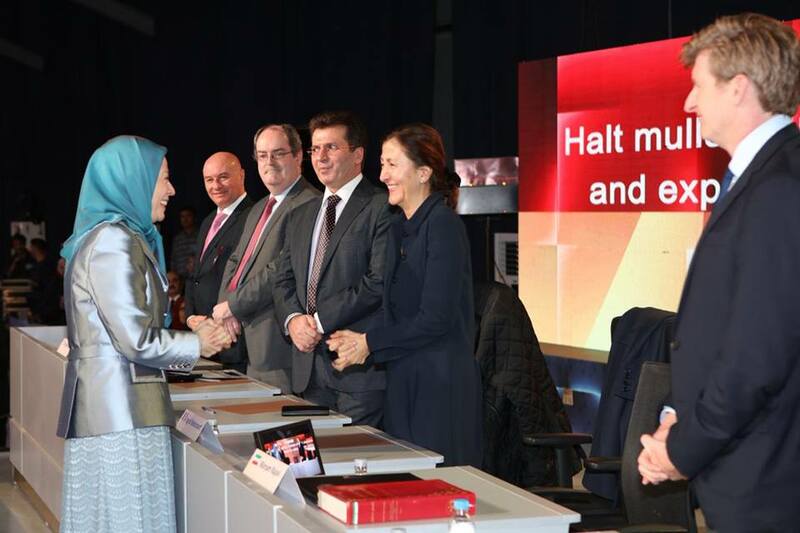 Several of the MEK’s high-profile political supporters also participate in the group’s telethons. Political figures from across Europe and the US often make an appearance and urge supporters to keep making donations. It is young Iranians who overwhelmingly turn to telethons to voice their opinions. For Iran’s youth, living in a world where simply voicing anti-regime sentiment could be enough to get you arrested or worse, the telethons offer an outlet and a way to connect with like-minded individuals. One, named Amineh Gharaei said, “Iran is like a prison for us- Simaye Azadi gives us hope”. The telethons show the Iranian youth that they are not alone in their disappointment and dissatisfaction towards the regime. They let them know that the MEK is with them. 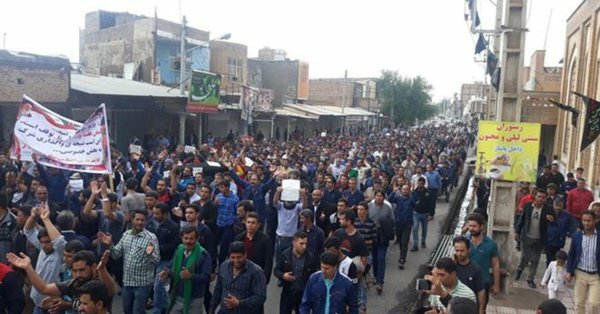 Despite the Iranian regime’s crackdown on protesters in Haft-Tappeh and Ahvaz, the protests continue. National Steel Group workers protesting delayed paychecks. 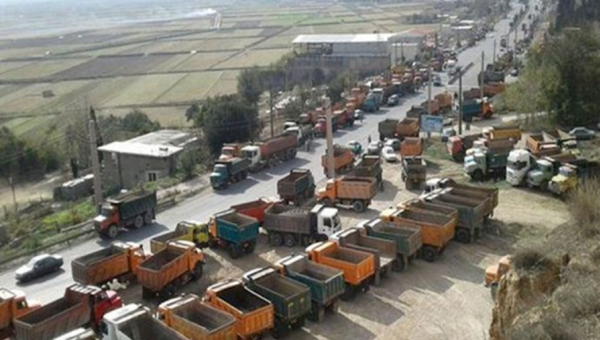 The MEK and the Iranian Resistance support the striking workers. Mrs. Maryam Rajavi, the leader of the Iranian Resistance, has voiced her support of the striking workers and urged others to join them in solidarity. The workers at the Haft Tappeh sugar mill have maintained their display of resistance against the Iranian regime’s repressive policies. The workers went on strike two weeks ago over unpaid wages and the imminent privatization of the company and are still refusing to return to work. 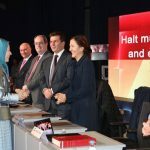 The workers then invoked the ire of the regime and have endured a slew of threats and oppressive policies, reports from the MEK network indicate. 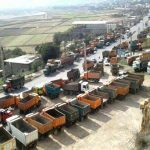 The Iranian regime’s destructive and poorly-executed policies caused the demise of the Haft Tappeh mill. What was once the largest sugar cane factory in Iran is now on the verge of becoming little more than a tool to line the mullahs’ pockets. The company is on the verge of a privatization process that would see the regime assume total control of the company’s assets. It follows a similar pattern of embezzlement and corruption that is spreading across Iran’s major companies and industries. Instead of collaborating and working with the striking workers to bring a swift end to the protests, the regime refused to acknowledge or address the problem. 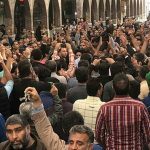 Regime officials have ignored the protest’s existence, despite the country’s workers’ syndicates, trade unions, and working groups coming out to pledge their support for the workers of Haft Tappeh. Teachers, students, truck drivers, and merchants have expressed their support for the striking sugar mill workers. The leader of the Iranian opposition, president-elect Maryam Rajavi has issued a statement expressing her deep support of the heroic protests. Ms. Rajavi took to Twitter to offer words of encouragement to the protestors on behalf of the MEK. She said, “hail to Shush, the city of revolt and protest, risen up with the protests of sugarcane workers and the solidarity and strike of the bazaar merchants and youths”. She also sent a message to inspire Iran’s public and youth into supporting the Haft Tappeh workers. “I call on youths to support the uprising in Shush and the strike of workers of Haft Tappeh”, she Tweeted. The brave workers of Haft Tappeh have also garnered support from the international community. 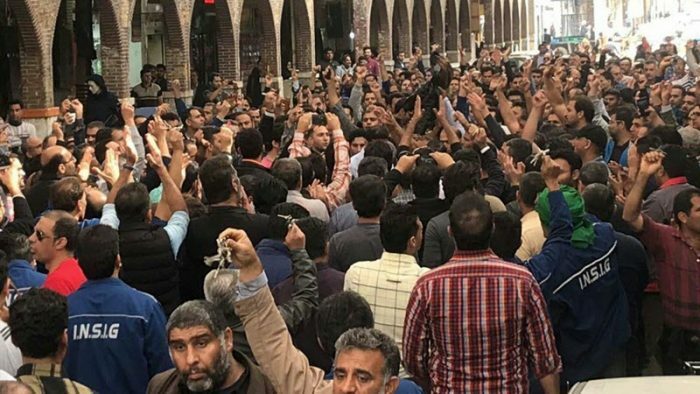 As the news of the workers protest spread across the globe, the Iranian diaspora and international workers groups send words of encouragement and solidarity with the workers of Haft Tappeh. 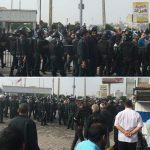 As the workers at Haft Tappeh are showing, the only way to confront the Iranian regime and its systematic abuse and corruption of Iran’s industries is through sustained protests. The Iranian people must show their determination and resolve to throw off the shackles of the regime and let the Iranian economy flourish under a democratic Iran. 150 MEPs Sign Statement Calling for Expulsion of Regime Intelligence Agents from E.U. 150 Members of the European Parliament demand the EU states to take necessary measures to prevent more terrorist activities by the Iranian regime. On Monday, 150 Members or European Parliament released a joint statement condemning the Iranian regime for its domestic human rights violations and its international terrorist plots. 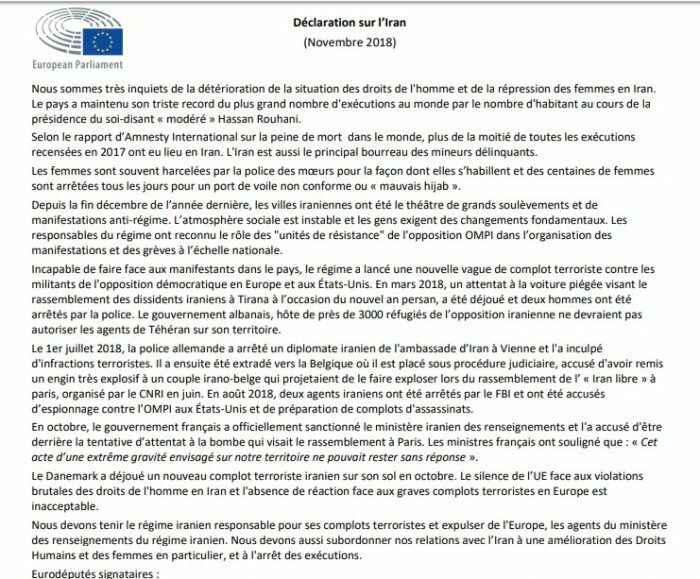 Gérard Deprez, Chair of Friends of a Free Iran in European Parliament, wrote the statement, and it was signed by MEPs from all six major political groups in European Parliament, representing 27 Member States. Signatories include 4 Vice-Presidents of the European Parliament and 14 Committee and Delegation Chairs. The MEPS noted that major uprisings and anti-regime protests have taken place in Iran over the past year and continue to occur. The people are demanding fundamental change. According to the statement, “The regime’s officials have acknowledged the role of ‘resistance units’ of the opposition PMOI [MEK] in organizing protests and nationwide strikes. The statement goes on to describe the various terrorist plots attempted by the Iranian regime over the past year. “In March 2018, a car-bomb plot targeting the Persian New Year gathering of Iranian dissidents in Tirana was foiled, and two men were arrested by the police,” the statement reads. “On 1 July 2018, German police arrested an Iranian diplomat from the embassy in Vienna and charged him with terrorist offenses. He was later extradited to Belgium, and he is on trial accused of handing over a highly-explosive device to an Iranian-Belgian couple who were planning to bomb the opposition NCRI’s Free Iran gathering in Paris in June. In August 2018, two Iranian agents were arrested by the FBI and charged with spying on the PMOI [MEK] in the US and preparing assassination plots. The Iranian youth participating in protests receive long sentences. This week, the Iranian regime sentenced several protestors arrested in August protests. 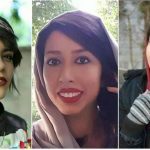 Iran Human Rights Monitor (HRM) reported on October 22nd reported that five young women arrested during the protests had received prison sentences of between 6 and 12 months. Yasamin Ariani, aged 23, and 19-year-old Saba Kordafshani, will both serve one year behind bars at Tehran’s infamous Evin Prison. Azer Heydari will also serve one year in prison. The other two, Mozhdeh Rajabi and Niloufar Homafar, both received six-month sentences from the Iranian regime Judiciary. The circumstances under which Yasamin Ariani was arrested prompted outrage from the Iranian public and drew condemnation from the People’s Mujahedin Organisation of Iran (MEK) and other Iranian opposition groups. Yasamin was arrested and taken to Quarchak Prison after helping an elderly woman who was pushed to the ground by the regime’s anti-riot police. The sentences appear to be part of a coordinated effort from the clerical regime to administer particularly harsh sentences on those involved in protests. Last week, the regime sentenced six supporters of MEK to between 8 and 18 years in prison. They were charged for burning the images of the regime Supreme Leader Khamenei during last year’s protests. Iran Human Rights Monitor released a list of 18 protestors that had been arrested and sentenced for participating in the December and January protests. The protestors, all of whom are serving their prison sentences at the Great Tehran Penitentiary, were administered exceptionally harsh sentences and subject to cruel and immoral punishments. 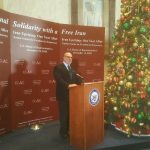 Alireza Shir Mohammad Ali was charged with three “crimes”, “spreading propaganda against the establishment”, “insulting Ali Khamenei” and “disrupting public opinion”. He received a five-year sentence and 200 lashes. Barzan Mohammadi, a Kurdish prisoner, is serving a six-year sentence for similar crimes. He was also lashed a total of 100 times. The full extent of the regime’s crimes against its population becomes clear when confronted with the figures of those arrested. Agents of the clerical regime arrested more than 8,000 protestors during the December and January uprisings. Of these 8,000, at least 14 have died in custody, likely due to extensive torture and beatings at the hands of guards. Further reports emerged this month of guards using electric cattle prods, sticks, and batons to beat inmates into submission. Several inmates have reported fractured bones and concussion. Amnesty International called for the immediate and unconditional release of all those arrested during the protests. 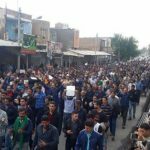 They also urged the international community to call for an “impartial and independent” investigation into the suspicious circumstances surrounding the death of 26-year-old Reza Otadi, who died during a protest in Karaj. So far, the international community has remained silent and Amnesty International’s pleas have not been heard. 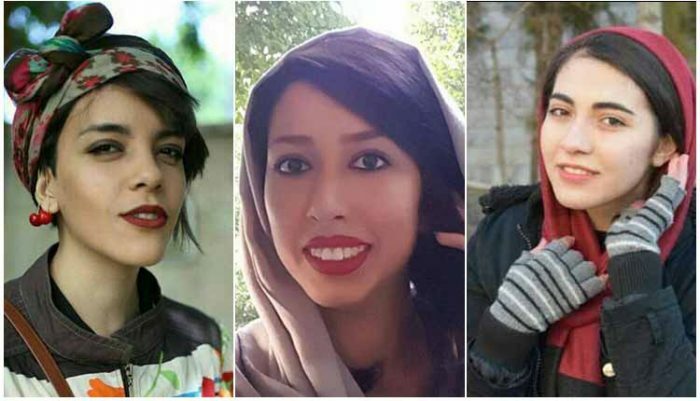 These young women, as well as the thousands of more Iranians sitting behind bars, and their families in Iran need the international community to be their voice. How many more innocent people have to be flogged, beaten and imprisoned before Europe and the West say enough is enough?